Matthew joined Clear Harbor in 2016. At Clear Harbor, Matthew is responsible for working collaboratively with high net worth individuals and corporate clients of the firm. With individual clients, Matthew provides comprehensive estate, asset allocation, and wealth management strategies. Matthew brings over 17 years of financial services experience to the firm. 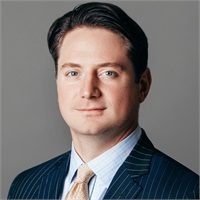 Prior to joining Clear Harbor he was a Managing Director with Stifel Financial’s Distressed Desk specializing in special situations and credit related equities. He spent time at Wells Fargo Advisors private client group, managing and constructing client portfolios and assisting with their wealth management needs. Matthew also spent 13 years at Knight Trading Group where he was an institutional equity trader specializing in special situations and micro-cap equities and serving the firm’s retail and institutional client base. Matthew holds a Master of Science in Financial Planning from the Bentley University Graduate School of Business and holds a Bachelor of Science in Business Management from Providence College. He is a Certified Financial Planner™ practitioner as well as a Certified Investment Management Analyst® professional, a certification administered by Investments & Wealth Institute™ and taught in conjunction with The Wharton School, University of Pennsylvania. He is a member of the Investment Management Consultants Association®.